A raw carnivore and nutrient-dense animal food advocate, Frank Tufano, is today’s guest interview. He shares what he considers to be the healthiest diet. We then find out why we should aim to eat animal foods with high nutrient density foods in the same vein as our ancestors. We also go into discussing issues with the carnivore diet, avoiding inflammatory omega-6 meat products, commercially raised vs grass-fed, raw vs cooked, nutrient density of organ meats and fat, seafood diets, cholesterol, glucose, D3 deficiency and of course ancestral/indigenous diets. Go to the show notes at https://www.biohackerslab.com/ep82-frank-tufano/ for more links & highlights. Biochemical Engineer and Fat Emperor, Ivor Cummins, is today’s guest interview. Ivor shares with us why the coronary artery calcium (CAC) score is the most reliable measure of heart disease. He explains what the CAC score tells us in terms of heart attack risk and how it actually measures disease progression rather than risk factors. We then find out about why seemingly healthy people die prematurely of heart attacks, where to get tested and reversing/slowing progression of disease. We also go into discussing other useful markers, calcium supplements, diet, as well as other factors including ApoE4 genotypes and gum infections. Go to the show notes at https://www.biohackerslab.com/ep89-ivor-cummins/ for more links & highlights. Co-founder of Nutrita and Neuroscientist, Raphael Sirtoli, is today’s guest interview. Raphael shares how his new venture, the low-carb/keto food search engine by Nutrita came about. He explains how The Nutrita app scoring system works and helps people make informed food choices more easily with their keto and low-carb friendly nutrition tracker. We then find out about the three food ratings Nutrita uses: the keto score, nutrient density score and insulin index, as well as how their macro calculator works and the more in-depth nutrient breakdown option. We also go into discussing bad data, Nutrita’s data sources and their approach to analysing data, the glycemic index and its limitations as well as more about the goals and future of their web app that’s coming soon. Go to the show notes at https://www.biohackerslab.com/ep88-raphael-sirtoli/ for more links & highlights. A qualified ‘renegade’ pharmacist and holistic wellness expert, Niraj Naik, is today’s guest interview. Niraj shares how breathwork training can change your physiology to help healing and promote health. He helps explain the science behind why it is important to regulate the amount of oxygen we take in with breathing exercises. We then find out about how the oxidative stress that results in our bodies from over-breathing results in disease and what triggers this response. We also go into discussing stopping the need for medication, different breathing techniques, improving our efficiency at using oxygen, hyperbaric oxygen chambers vs intermittent hypoxia, anxiety and stress management and benefits for asthma. Go to the show notes at https://www.biohackerslab.com/ep87-niraj-naik/ for more links & highlights. Functional medicine practitioner, Dr. Paul Saladino (MD), is today’s guest interview. Paul shares his perspective on the nose-to-tail carnivore diet. He helps explain why the nose-to-tail approach is key when adopting an all-meat diet (esp. long-term) and why certain people have great results on this type of diet. We then find out which plant foods can be more problematic than others and what elements are essential in a nose-to-tail diet if we want to avoid deficiencies. We also go into discussing intestinal permeability, mental health, longevity, supplements, iodine, collagen, balance in terms of micronutrient ratios such as copper and zinc, as well as omega-3/omega-6, methionine/glycine and fat/protein ratios. Go to the show notes at https://www.biohackerslab.com/ep86-dr-paul-saladino/ for more links & highlights. 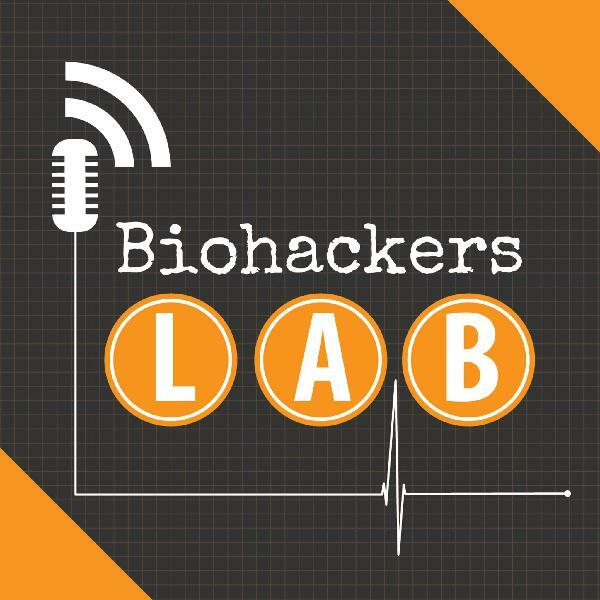 Sport exercise physician, Dr. Paul Mason, is today’s guest interview on episode 85 of the Biohackers Lab podcast. Paul shares with us how lectins could be impacting on our health. He helps explain what lectins are, where they are found and how different types of lectins affect different cell types. We then find out the role of lectins in autoimmune disease and metabolic conditions. We also go into discussing how lectins hinder weight loss in low-carb/keto diets, intestinal permeability and how to test for it as well as treatment advice. Go to the show notes at https://www.biohackerslab.com/ep85-dr-paul-mason/ for more links & highlights. An entomologist and raw-meat carnivore, Andrew Graf, is today’s guest interview on episode 84 of the Biohackers Lab podcast. He shares with us why he chose to switch to a 100% raw-meat diet and why he believes it works for him. We then find out how he started and what type of meat he eats. We also go into discussing food safety, grass-fed vs conventionally raised, the gut pH and immunity, fat and organ meats, health improvements and satiety, animal treatment as well as his thoughts on salt and caffeine. Go to the show notes at https://www.biohackerslab.com/ep84-andrew-graf/ for more links & highlights. A chiropractor with a focus on clinical nutrition, Dr Darren Schmidt, is today’s guest interview on episode 83 of the Biohackers Lab podcast. He shares his perspective on the ketogenic diet, as well as the essential protein and fat intakes. We then find out the importance of dealing with underlying health problems and the role of lactic acidosis on the mechanisms of disease. We also go into discussing what lactic acidosis is, ways to test for it, what symptoms to look out for, effective detoxing, how it can affect ketosis. Go to the show notes at https://www.biohackerslab.com/ep83-dr-darren-schmidt/ for more links & highlights. Board Certified family physician, Dr Ken Berry, is today’s guest interview. He is back to share his take on the carnivore diet. We find out about why he chose to make the switch to carnivore, the benefits he experienced and why he considers carnivore to be just a subset of the ketogenic diet. We also go into discussing EAT-Lancet guidelines, cyclical carnivorism, hypercarnivorism, the keto spectrum, if ancestry matters, as well as meat quality and quantity considerations. Go to the show notes at https://www.biohackerslab.com/ep81-dr-ken-berry/ for more links & highlights. Author, biohacker and high-performance coach, Siim Land, is today’s guest interview. He shares his thoughts on the ketogenic diet and explains why intermittent fasting is so beneficial. We then find out about the best ways to start getting into intermittent fasting and time-restricted eating for beginners. We also go into discussing multi-day fasts, autophagy and its benefits, longevity, cognition, working out, effects of coffee/tea, the best ways to break fasts, as well as the more extreme dry fasting method. Go to the show notes at https://www.biohackerslab.com/ep80-siim-land/ for more links & highlights. Carnivore diet advocate & former senior lecturer in clinical and exercise physiology, nutrition, research methods and statistics, Bart Kay, is today’s guest interview. He shares his experiences as an academic and explains why he chose to switch to a strict carnivore diet. We then find out about why nutrition is not taught the way it should be in schools, the difficulties in finding reliable nutrition advice and the problems in establishing cause and effect in nutrition science. We also go into discussing money informing research results, skewed data, prevailing nutritional myths, carnivore diet benefits as well as why he believes the carnivore diet is the ideal, sustainable long-term diet. Go to the show notes at https://www.biohackerslab.com/ep79-bart-kay/ for more links & highlights. Nutritionist and ketogenic diet specialist, Maria Emmerich, is today’s guest interview. She shares tips on how to start, or get back into, the ketogenic diet using her 30-day ketogenic cleanse. We then find out what the typical meals look like and why the cleanse doesn't include any dairy or nuts. We also go into discussing intermittent fasting, mitochondria hacks, weight loss, muscle mass, macros vs percentages, carb withdrawals and dealing with cravings as well as alcohol and tips on eating out. Go to the show notes at https://www.biohackerslab.com/ep78-maria-emmerich/ for more links & highlights. Leading Functional Medicine expert and practitioner, author of Ketoterian, Dr Will Cole, is today’s guest interview. He explains how we can get the benefits of a ketogenic way of eating, on a (mostly or entirely) plant-based diet. We then find out about what being a ketotarian means and how it can be tailored to vegan, vegetarian or pescatarian eating plans. We also go into discussing vegan-keto sources of protein and fat, eating to satiety, inflammation and intestinal permeability, cholesterol, sourcing produce, tracking results, intermittent fasting and the importance of listening to your body and finding what works for you. Go to the show notes at https://www.biohackerslab.com/ep76-dr-will-cole/ for more links & highlights. Record holding endurance athlete and coach, Zach Bitter, is today’s guest interview. He explains how he transitioned from a high carb to a ketogenic diet to improve his recovery and longevity. We then find out about how he adjusts his carb intake according to training demands to maximise his performance. We also go into discussing hydration, supplements, sleep, stress management, footwear, why timing and context is vital, as well as some of the biggest mistakes Zach sees people make. Go to the show notes at https://www.biohackerslab.com/ep75-zach-bitter/ for more links & highlights. Cardiovascular research scientist and author, Dr James DiNicolantonio, is today’s guest interview. He explains how the different types of fat consumed affect our health and which fats we should be eating. We then find out about some advantages of omega 3 ALA’s in terms of weight loss and energy. We also go into discussing best cooking oils/fats, best sources of omega 3, oxidation and environmental pollutants, fish and krill oil supplements, astaxanthin, pastured eggs and grass fed meat as well as fat and diabetes, vegan diets, bacterial endotoxins and more. Go to the show notes at https://www.biohackerslab.com/ep74-dr-james-dinicolantonio/ for more links & highlights. Professional baseball player Robby Rowland, is today’s guest interview. Robby shares with us some insights into the world of baseball and the benefits of ketogenic diet for professional athletes. He explains how an overhaul of his diet and a switch to keto improved his energy and cognition and he never felt better. We then find out how the adaptation period affected his performance, the importance of supplementation during this period and timing the diet switch. We also go into discussing travelling on keto, experimenting with ratios and intermittent fasting, importance of protein, sleep, circadian rhythms and more. Go to the show notes at https://www.biohackerslab.com/ep73-robby-rowland/ for more links & highlights. Host of popular YouTube Channel the Vegetable Police and former vegan, Kasey Stern, is today's guest interview. Kasey shares with us how he healed his Ulcerative Colitis on a raw vegan fruit-based diet and why he then transitioned to carnivore. He explains how the carnivore diet finally resolved the ongoing problems he was experiencing with his energy levels, acne and digestion. We then find out what it was like to transition from vegan to carnivore and the challenges he faced. We also go into discussing experimenting with adding more variety of foods, the online response, animal welfare and keeping an open mind when it comes to your health. Go to the show notes at https://www.biohackerslab.com/ep72-kasey-stern/ for more links & highlights. Microbiologist, Amy Proal PhD, is today's guest interview. Amy shares with us new research about the microbiome (and virome) and the vital role they play in health and disease. She helps to explain what the microbiome is and how virtually every part of our body has its own microbiome community. We then find out what this means for the way we think about disease and treatment. We also go into the gut-brain access, what we can do to improve our microbiome, stool tests, and why Amy believes a paradigm shift is needed focusing on supporting the immune system and keeping the microbiome healthy. Go to the show notes at https://www.biohackerslab.com/ep71-amy-proal/ for more links & highlights. Data-scientist and carnivore diet proponent, Amber O’Hearn, is today’s guest interview. Amber is back with us today to share some more valuable information about how ketosis and micronutrients affect brain health. She helps to explain how ketosis differs in humans to other animals and the evolutionary perspective of why our brains thrive on ketones. We then find out about suckling ketosis and the difference in transition time to ketosis between adults and children. We also go into discussing essential micronutrients for brain growth, development and maintenance, RDAs and how bioavailability of nutrients depends on diet, organ meats as well as importance of dietary quality vs nutrient density. Go to the show notes at https://www.biohackerslab.com/ep70-amber-o’hearn/ for more links & highlights.